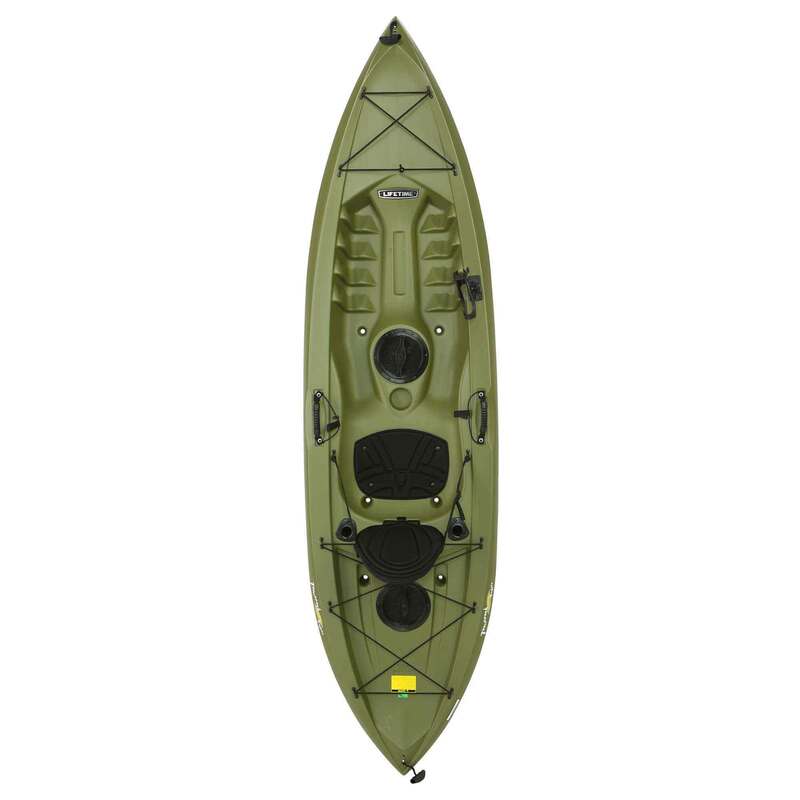 Lifetime Olive Angler Kayak on Sale - Free Shipping & Free Paddle. 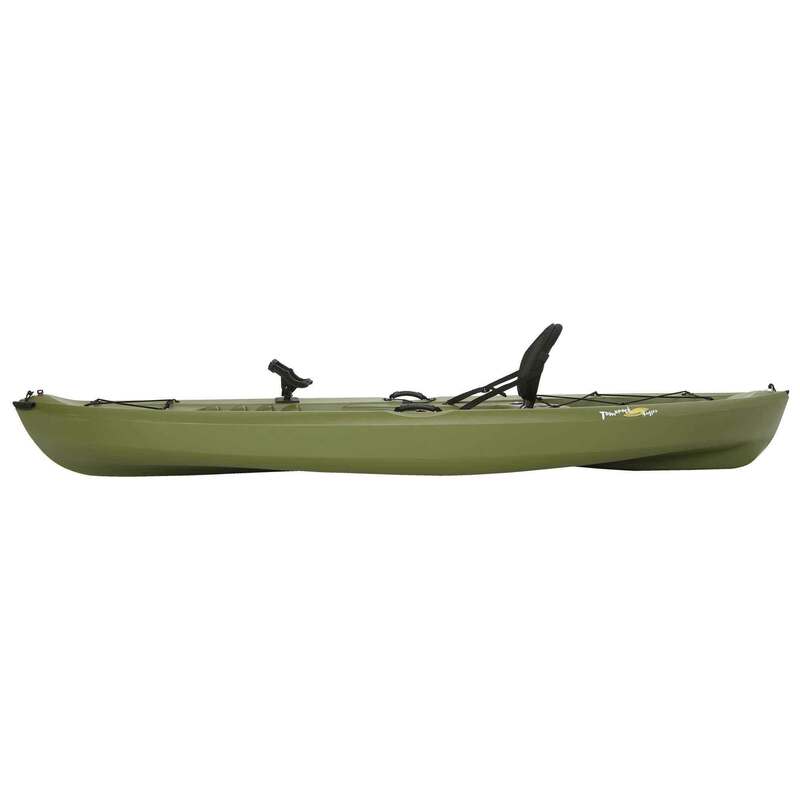 Fish in comfort and style with this 10-foot Lifetime sit on top kayak. 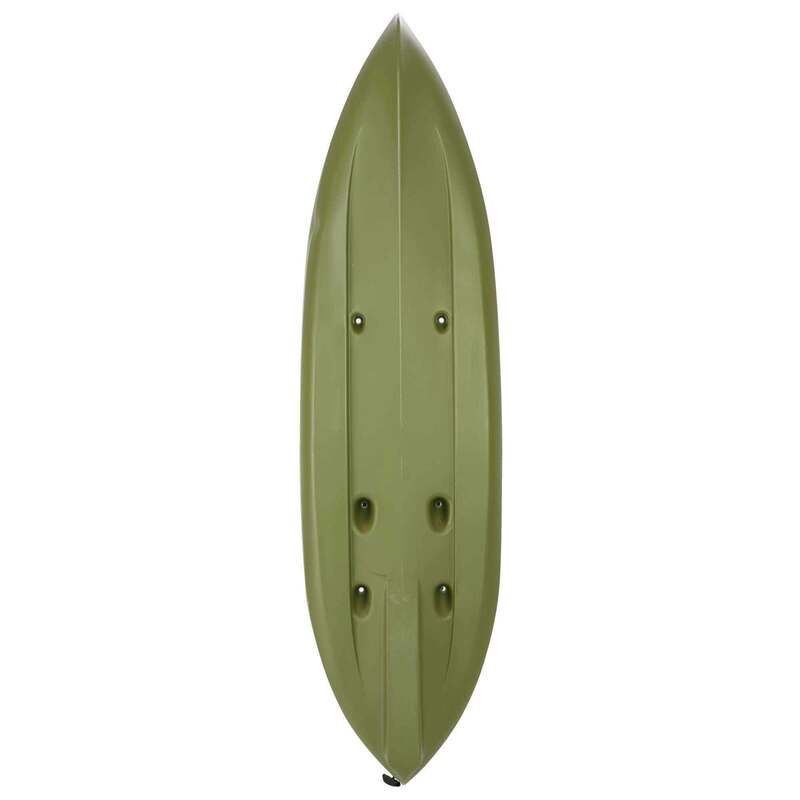 The 90539 Tamarack features a light-weight high-density polyethylene (HDPE) plastic structure. 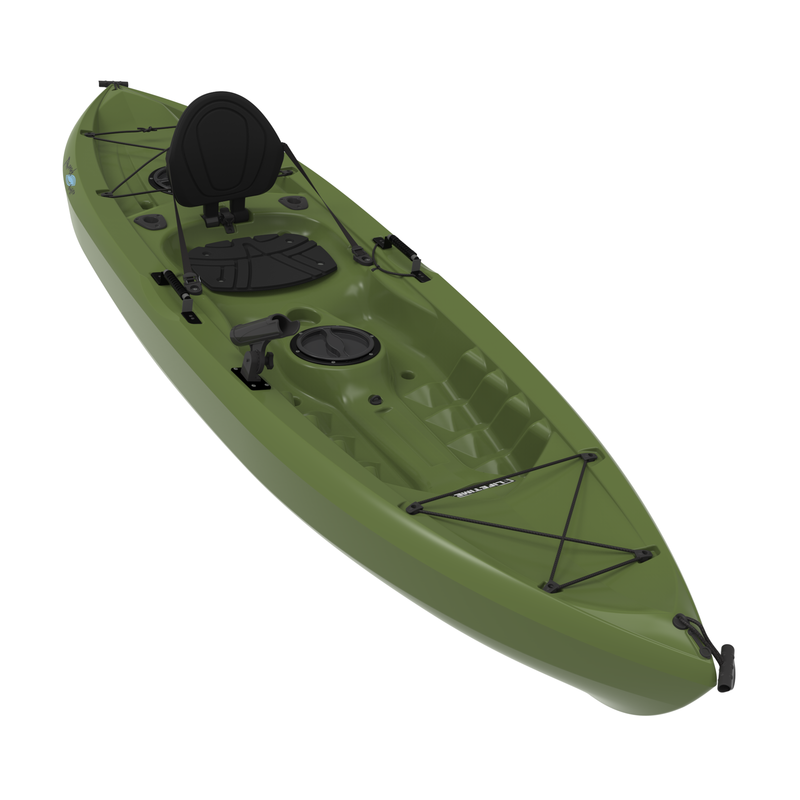 The weight of this kayak is only 50 lbs. 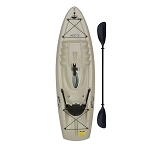 This kayak comes with a built-in fishing rod holder, corded shock holder, and 2 built-in 6 inch storage compartments. 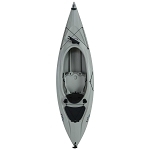 The contoured seat and back provides the rower comfortable support while out on the water. 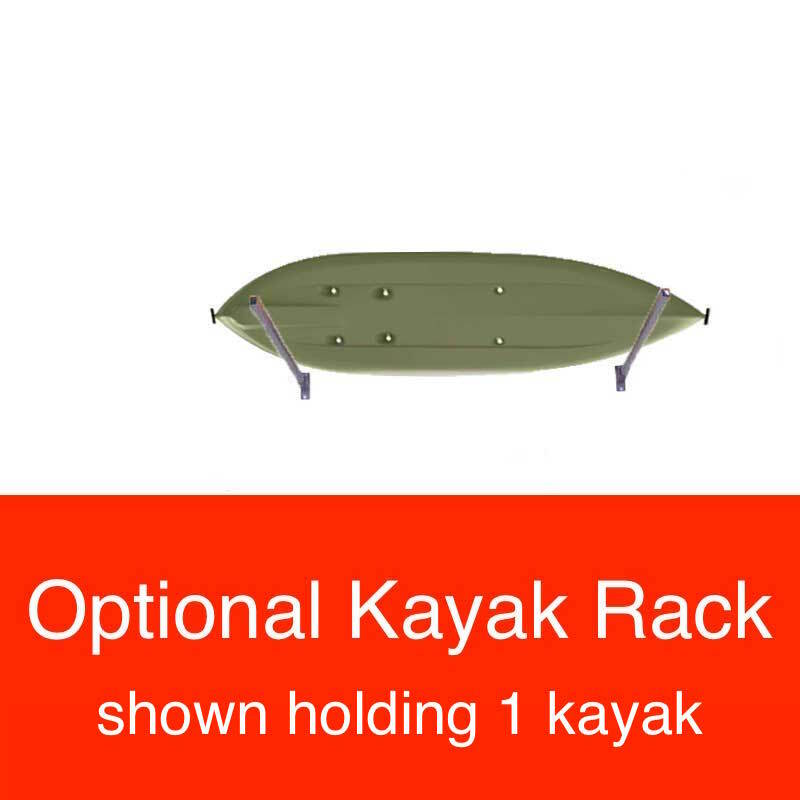 Order our Lifetime Kayaks here. The HDPE for construction is treated to be UV resistant. 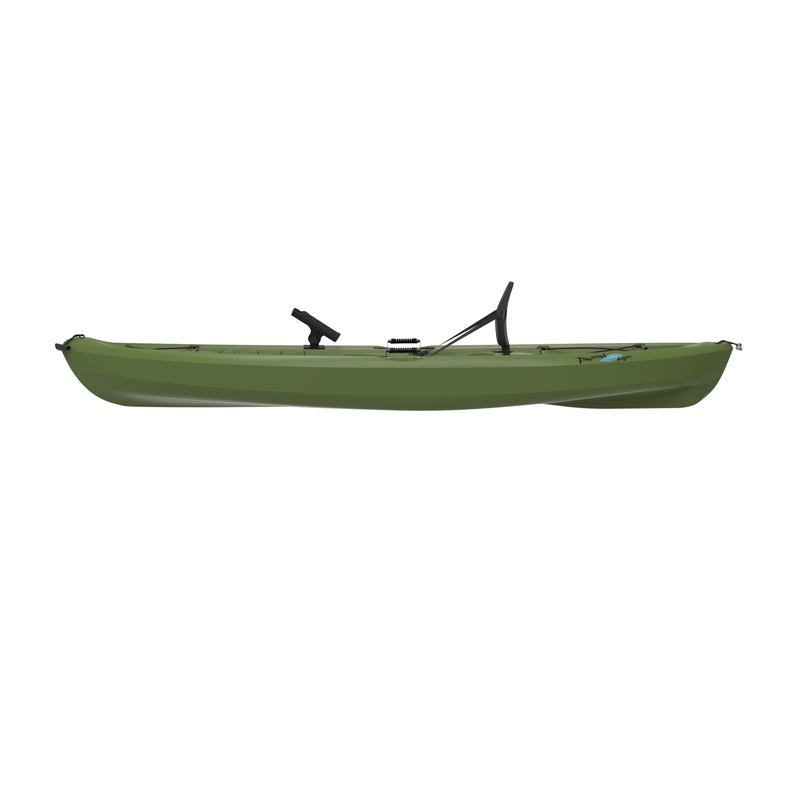 Olive color does not include paddles. 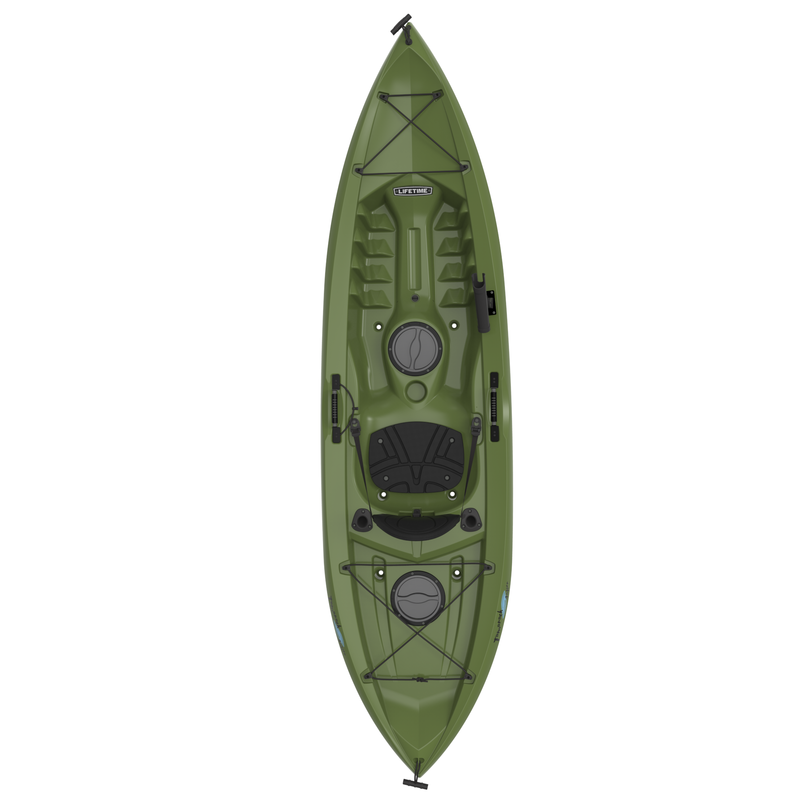 Consider model 90818 Kayak With Paddle. 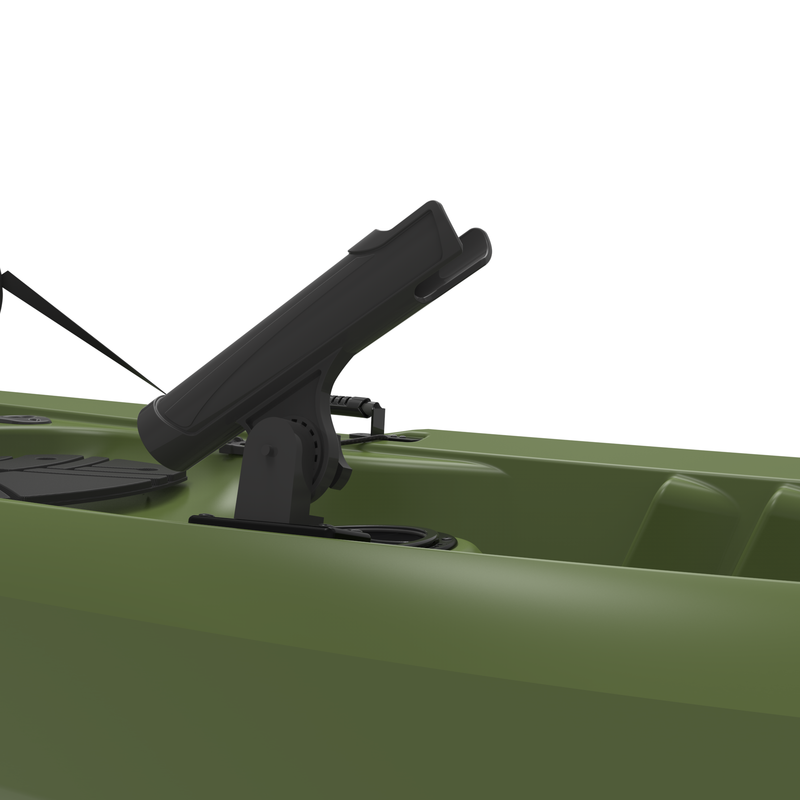 Built-in storage compartments help store your lunch or fishing gear while on the water. 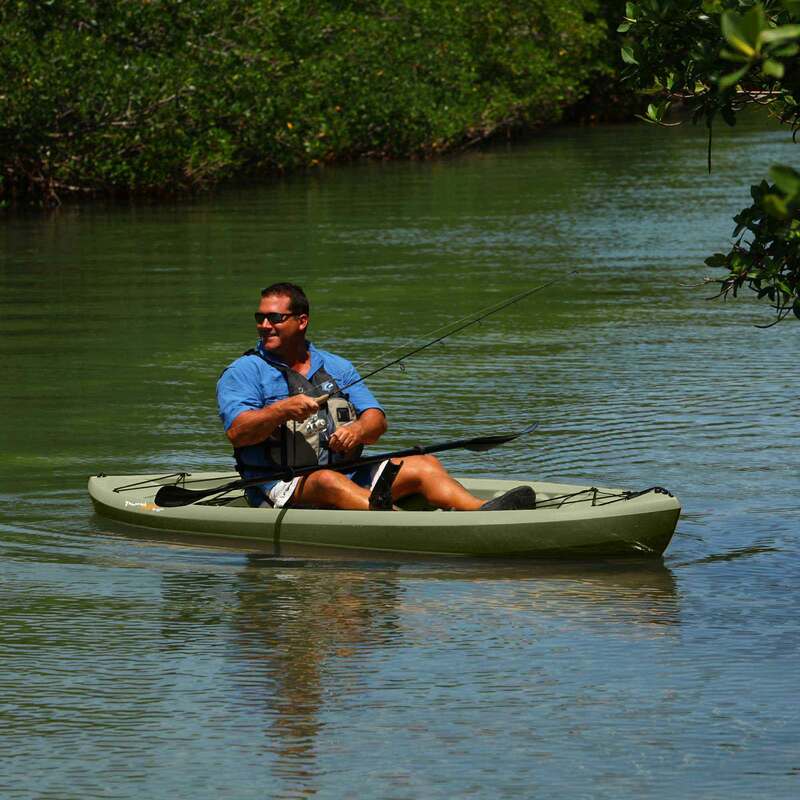 Built-in fishing rod holder helps keep your rod still while waiting for the fish to bite. Multiple foot-holder positions is well-suited for riders of different heights. 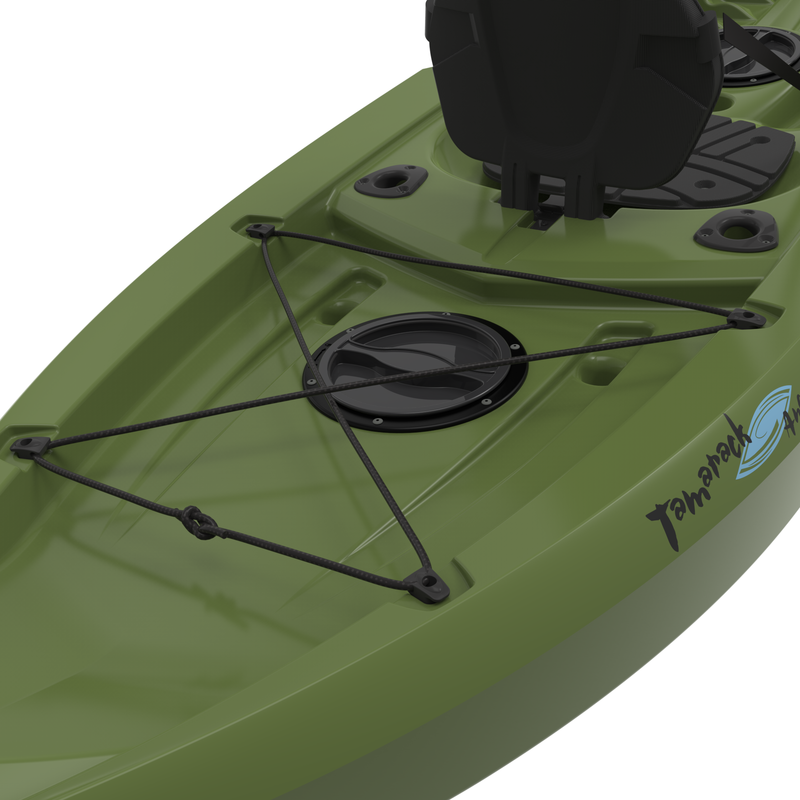 Paddle cradle included to help position paddles and keep them in place while you fish. Got this for my grandson for Christmas. . . . We made the happiest boy in the world! He just loves it! It fits his 85 lb body perfectly! Should grow with him and I'm sure he will get years of use! 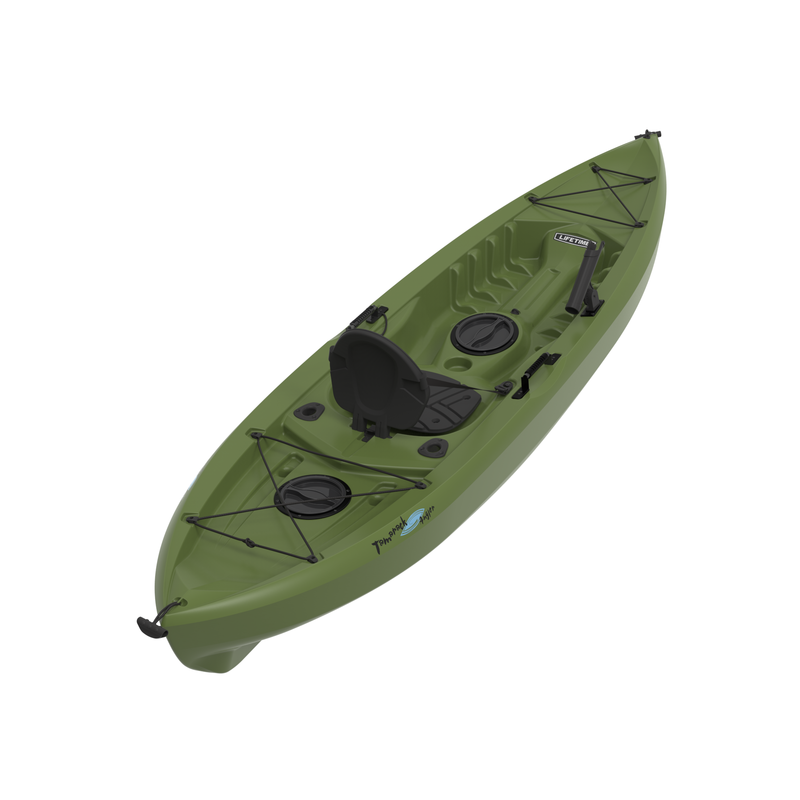 Q: Can I get a replacement seat for this kayak, the dog chewed ours up? 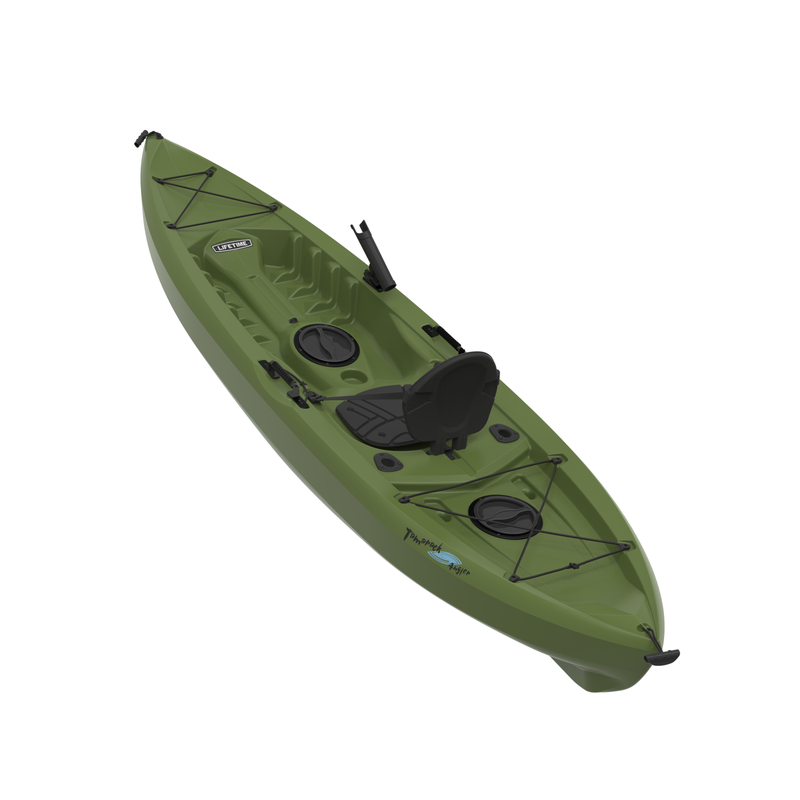 Q: Does this model normally come with a paddle or is the free paddle a promotion on Competitive Edge Products, Inc? 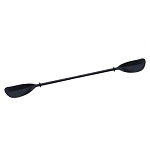 A: The 90539 did not include paddles before this points, we are now adding on Free paddles to make the 90508 and 90539 as close as possible. 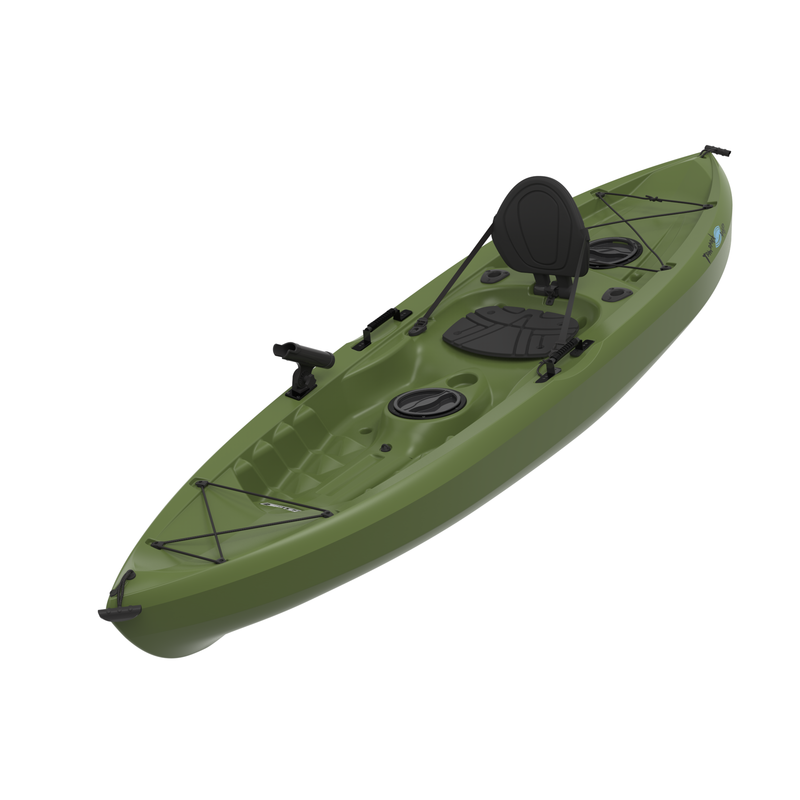 Olive color does not include paddles. 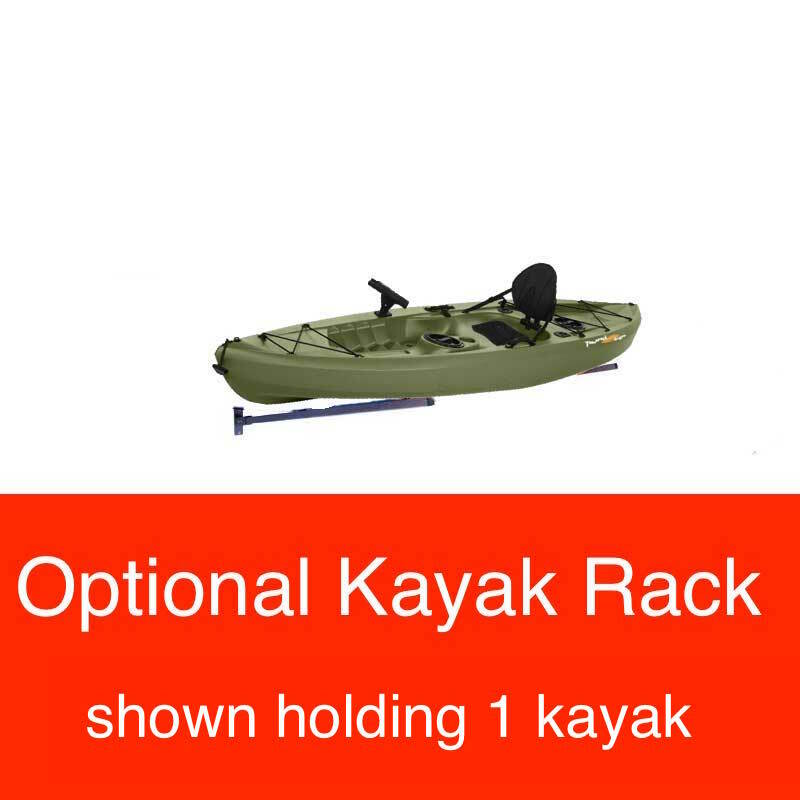 We are including paddles as a bonus on the beige kayaks. Regarding Shipping. 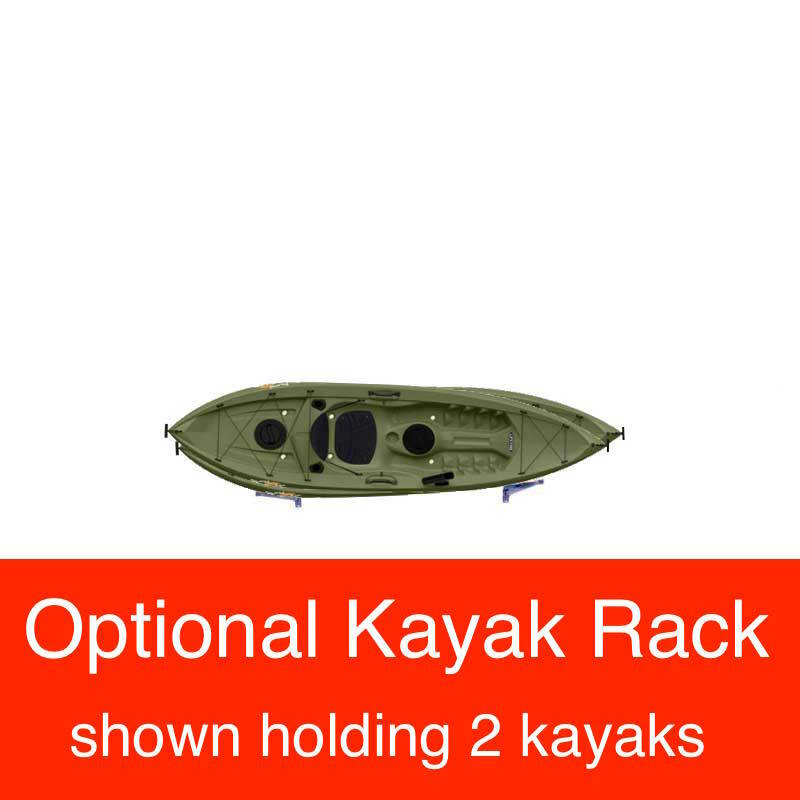 Orders for this kayak generally leave the warehouse within 2-4 business days. Summer and holidays can slow down shipping times. These items ship ltl from Utah, and delivery varies by state, but typically takes between 2-7 business days, Contact us for more exact estimates. 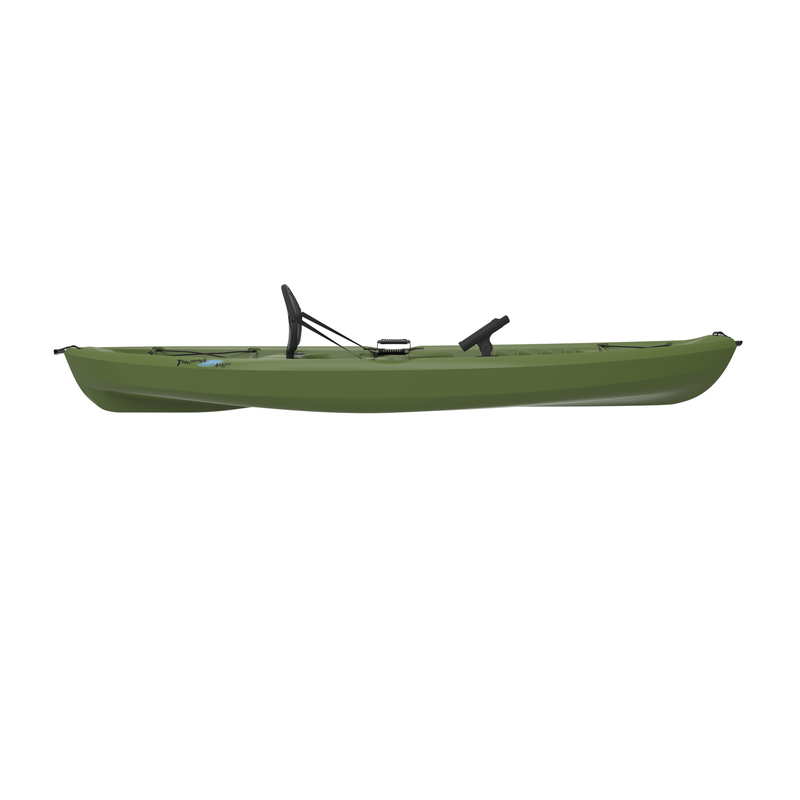 This product ships directly from Lifetime Products' warehouse in Clearfield, Utah via an ltl carrier for a curbside delivery. This type of delivery requires the customer to be present for the delivery to sign for the package and to move the product wherever needed on the delivery property. The driver will not assist in moving the product; please plan accordingly when scheduling the delivery appointment. Shipping dimensions: 122 inches x 33 inches x 15 inches. Shipping weight: about 52 lbs. Dimensions: 120" x 30" x 14"